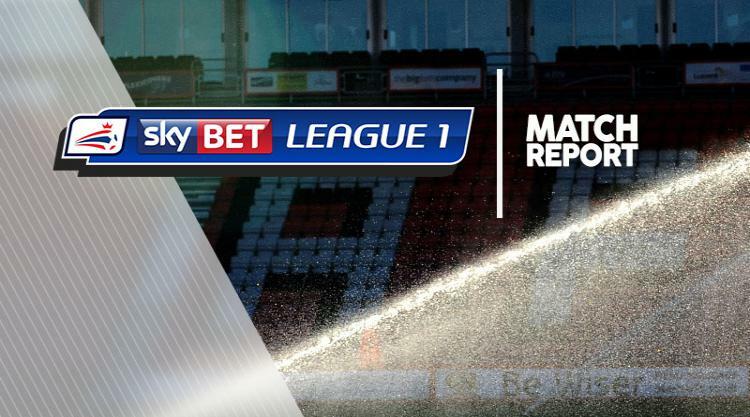 Billy Clarke scored the winner as Bradford strengthened their Sky Bet League One play-off prospects with a hard earned 1-0 victory over a stubborn Walsall side at Valley Parade. The Bantams moved up to fourth place in the standings, six points clear of seventh-placed Millwall, as they got back to winning ways, having been beaten by promotion rivals Scunthorpe prior to the international break. But Stuart McCall's men were not gifted all three points, with chances at a premium in the first half. It was midtable Walsall who fashioned the first opportunity as Cypriot international Andreas Makris' low drive forced Bradford goalkeeper Colin Doyle into a full length dive to turn away. But the Saddlers needed a clearance off the line from James O'Connor to keep out Alex Jones' header after Neil Etheridge had failed to gather Tony McMahon's right-wing cross. Bradford did grab the all-important goal in the 58th minute when Mark Marshall's left-wing cross ran free to the unmarked Clarke, who fired into the net from close range. Charlie Wyke went close to furthering Bradford's lead while Walsall's best chance of salvaging a point fell to Kieron Morris, whose close range shot was saved by the diving Doyle.